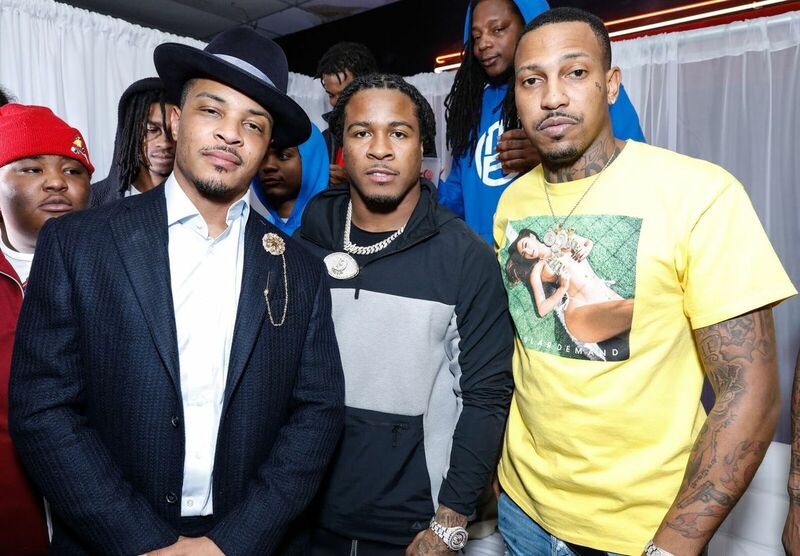 Last night leading street wear brand,Akoo, held a Celebrity Skate Night hosted by T.I. and Big Boi at the legendary Cascade Family Skating center in Atlanta. Over 700 guests came out to celebrate the big weekend, while enjoying complimentary cocktails by Deep End Vodka and Remy Martin, a custom airbrush t-shirt station, caricaturist, pictures by OMG Booth and more. Top skating teams across the city came out to battle on the rink, showcasing their best moves for a prize of $500. While the energy was kept high by host Fly Guy DC, and top DJ’s, DJ Holiday and DJ Tonee. Many celebrities were in attendance including: T.I., Big Boi, Trouble, Chanel Iman, Saquon Barkley, Zaytoven, Trae Tha Truth, Q Money, Devonta Freeman, Alvin Kamara, Sterling Shepard, Rico Pressley, Translee, Robbiworld, Whoa Vicky, Veronica Vega, JoJo Zazur, Jhonni Blaze, Posa, Althea Carter, J Mulan, Majah Hype, Shaun Ross, Sincerely Ward, Cortez Bryant, Just Brittany, Austin Awake, Wayno, Venus, Taylor Rooks, Landstrip Chip, and many more. Thank you to our partners: Akoo, Hustle Gang, Remy Martin, Deep End Vodka , Certified Agency, S.M.O.O.T.H. Marketing and Theory Communications.